Imagine working in a factory when suddenly an alarm goes off – one of the machines is on the fritz. But which one? 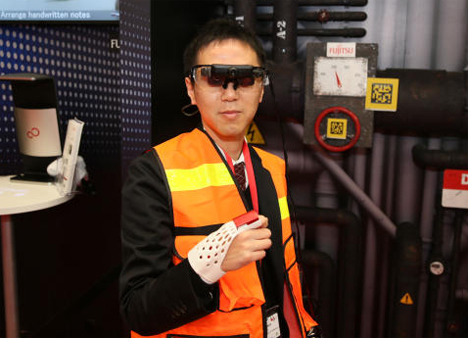 Fujitsu’s smart glove and augmented reality glasses concept would tell you exactly where the problem is and how to fix it. 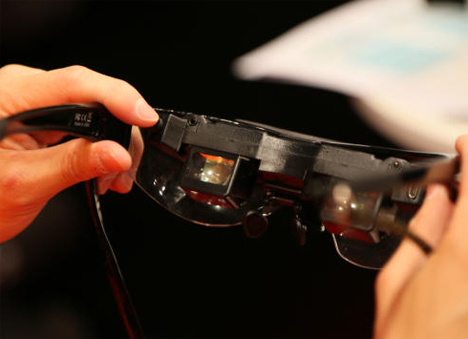 A foreman, employee, or whoever is in charge of maintenance would just slide on the glasses and follow the arrows projected on the lenses to the source of the problem. 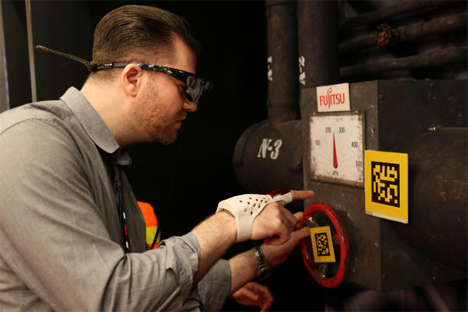 Once you arrive at the problem machine, the smart glove comes into play. Point it at the malfunctioning machine and the glasses will tell you what’s wrong with the machine and how to fix it. For example, holding a loose wire or unplugged cord will prompt the system to tell you where that part goes. Fujitsu’s system works using Near Field Communication (or NFC) to connect all of the parts and get them to work together. The company plans to release the system in 2015, making workplaces safer and hopefully helping to contain problems before they get too big to handle.